Yes, despite the friggin endless wind and still rather chilly evenings, spring definitely feels like it’s arrived on the farm now: the first clue is the perennial herbs that are starting to put leaf on again, or appear from underground in the case of the lovage, sorrel and chives. That means that the soil temperatures are warming up sufficiently for plants to think that it’s spring – so I’m convinced too. In the polytunnels the ground has warmed up more quickly and stays warmer at night too; the drilled carrots have germinated in the battered Vole tunnel (just waiting for a less windy day to take off the ripped plastic and reskin it – if you’re interested in coming along to help out in return for lunch, please let me know and drop me an email!). 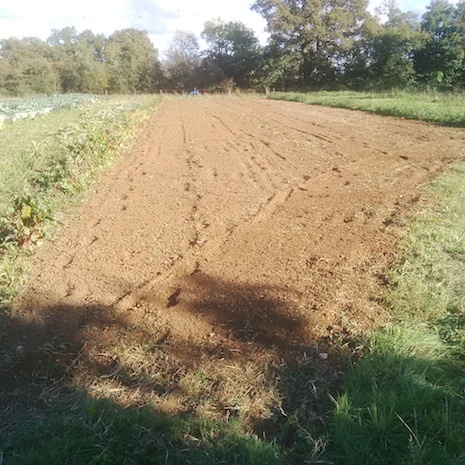 I’ve also been transplanting some spring onions, lettuce, peas and spinach sown in February, and drilled a couple more small rows of beetroot in the Baby Elephant tunnel, just to keep us going till the maincrop can be drilled outside in the field once the ground is prepared. A few weeks ago I also planted some redcurrant, blackcurrant and gooseberry bushes (10 of each I think), next to a strip of globe artichokes and few older redcurrant bushes I put in a couple of years ago. I keep forgetting about this little strip (it’s behind the Vole polytunnel), and the birds take off all the redcurrants before I remember about it in time to net it; so hopefully having a more substantial fruit patch will encourage me to check it more regularly, and get a decent crop off it in a couple of years too. I dug a few strips over, then covered with Mypex and/or mulched with woodchip to help keep the weeds down; there are also a few rhubarb plants there which get munched by rabbits, so I’ve mulched and fleeced that for the time being to see if it helps. I’m not even talking about the animal kind here: this is a quick post in praise of the legume. 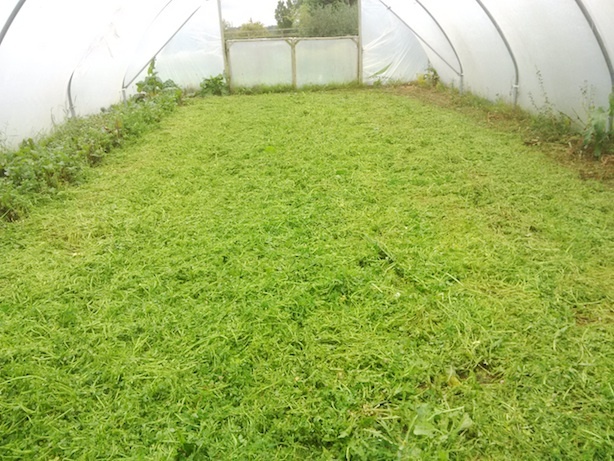 I’ve managed to be reasonably on it this year when it comes to green manures, and under-sowing crops with clovers etc; Persian clover went in the Vole Tunnel after the leeks, as usual; and I’ve just cut them down, ready to turn in next week before planting out the next lot of salads for winter. It was a great crop, about half a metre high, with tons of sweetly scented lilac flowers that bees and hoverflies went mad for. We also managed to undersown yellow trefoil under the brassicas, broadcasting the seed a month or two ago, after weeding the plants and before the brassicas covered up the ground too much. This has taken well, and is will wait patiently until there is more light once the crop has been harvested, before it goes mad. Likewise, our own mix of trefoil and clovers looks great under the squashes and pumpkins; and once the foliage dies back (which it started doing a couple of weeks ago, autumn certainly feels early this year), they will cover the ground well, and protect the soil from winter damage and erosion – as well as capturing nitrogen from the air for the plants, which will then go back in the soil once incorporated in spring. 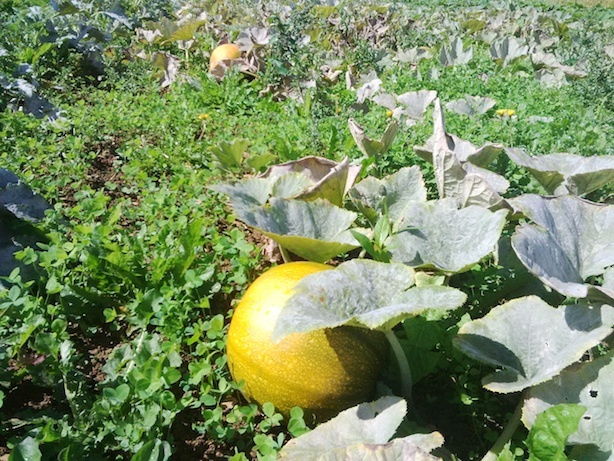 Who needs GM when you can feed the soil and produce healthy plants via green manures?! 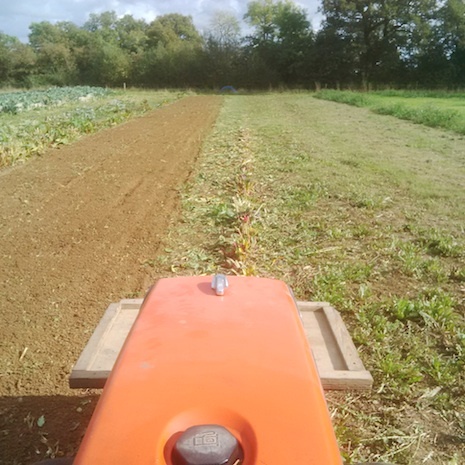 I love pick-and-mixing my own blend of green manures, either for under-sowing in early summer (I did a mix of Persian clover, red clover and lucerne under the squash and pumpkins, which has taken reasonably well); or an over-winter or 1/2-year ley. 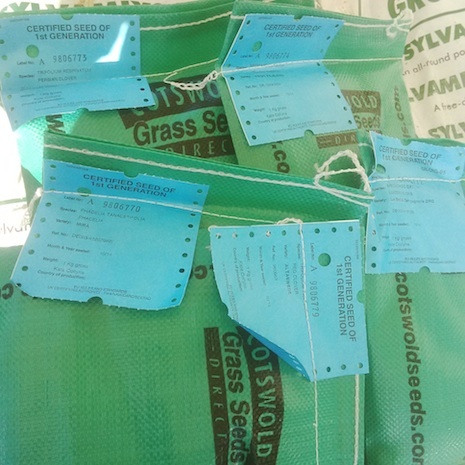 I suddenly realised this week that I needed to green manure the rest of the ‘Market garden’ patch (as well as squash & pumpkins, this part of the rotation also has lettuce, beetroot, chard); so on Wednesday evening I spent a happy few minutes choosing what to use from Cotswold Seeds. These guys are great; they tell you if your choice is out of stock asap (they told me organic seed is a bit short because it’s late in the season, so I had to have some conventional substitutes), plus they will talk to you about your options, and what’s best for your site. Best of all delivery is only 48 hours! I went for more Persian clover, red clover, lucerne, phacelia (I’ve always wanted to try this beautiful bee-attracting N-lifter (rather than N-fixing clovers), and trefoil – although I’ll keep most of the trefoil for undersowing in spring. 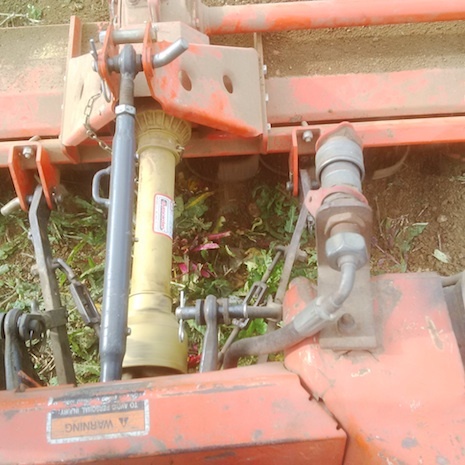 So I managed to borrow the tractor and rotovator from helpful Keith this afternoon, rotovated the chardy/beetrooty/lettuce patch, then broadcast the seed using the great Earthway broadcaster EV-N-Spreader . 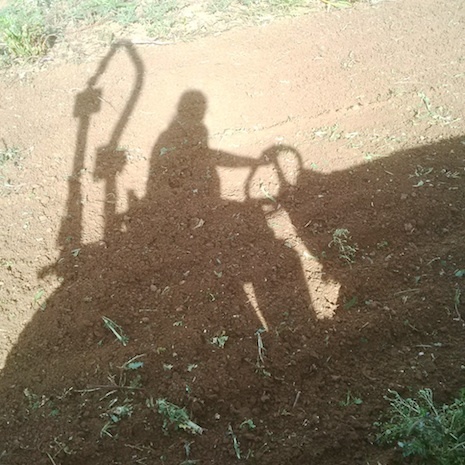 I’m hoping the heavy rain due tomorrow will work the seed in (it’s very small seed, so should enjoy the fine tilth I made); I have wheel hoed-in the seed before, but because of the wet week ahead, I’m hoping the rain will do that job for me. It is a bit late to be sowing these GMs (rye grass and vetch are the usual over-winter choice and are quick to establish, and winter-hardy); but I’m hoping the mild spell continues long enough for these lovely things to get going.